Founded in 1982, Zingerman's-a household name in Ann Arbor, MI-has grown from a single delicatessen to a thriving community of food-related businesses. One of these is Zingerman's Bakehouse, a bakery specializing in artisanal breads and pastries. To coincide with its 25th anniversary, Bakehouse co-owners Emberling and Carollo have crafted a cookbook that intimately blends the business's unique history and philosophy of service with never-before-published recipes for its best-loved baked goods. 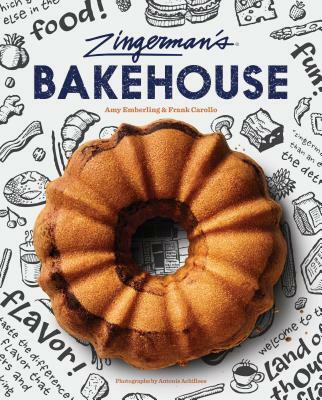 All home bakers will recognize its merit, made visible in precise recipes (e.g., Detroit-style pizza, coconut cream pie, chestnut baguettes, pecan sandies with bacon), stunning photographs, and deeply reflective storytelling. Notably, the book includes a wealth of traditional Hungarian and Jewish foods. VERDICT A stellar all-purpose baking collection for every skill level.